UK - With an ever-increasing number of end users, Yamaha Commercial Audio UK has taken steps to improve its product servicing, training and customer support by appointing two Yamaha Approved Service Centres. From Monday May 19, Yamaha will outsource servicing of the majority of its products to the Yamaha Approved Service Centres (YASCs), which are SSE Audio Group and Berkshire-based Broadcast Service Centre. In addition, Yamaha is appointing two freelance service engineers to carry out on-site repairs, both for land-based users and the cruise ship market. "As our product portfolio grows, we are under ever-increasing pressure to continue the high levels of customer service that end-users have come to expect. This new organisational structure will allow us to continue delivering the highest level of support to our growing customer base," says Karl Christmas, sales and marketing manager, Yamaha Commercial Audio (UK). "We are delighted to have been appointed as a YASC, we feel this demonstrates the confidence Yamaha has in the level of customer service we offer and further cements the close working relationship between our two companies," adds SSE service manager Adrian ‘Bonzo’ Knight. "Repairs will be carried out at our main Redditch service department, but with our additional sites in London, Bradford & Heywood, customers will be able to drop their repairs at a locality to suit their specific requirements." BSC is equally positive about the new arrangement, as director Tim Davies explains: "I am very proud that Broadcast Service Centre has been appointed as one of only two YASCs for the Commercial Audio product range," he says. "With over 20 years’ experience, BSC is widely acknowledged as the UK’s leading manufacturer-authorised service centre for the broadcast sector. This experience will be key to providing an effective repair service to the Yamaha range of products. "BSC is able to include both warranty and out of warranty repairs for Yamaha products and we look forward to extending our expertise to new customers, across all facets of the audio industry." 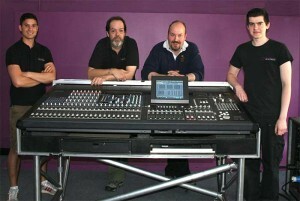 The servicing of the latest Yamaha Pro Audio products will remain at the company’s Milton Keynes UK headquarters, allowing staff to gain and forward knowledge and best practises to the YASCs. Dave Dine, Yamaha Commercial Audio’s specialist in-house service engineer, will take responsibility for training and co-ordinating the new YASCs, alongside the servicing of newer product. He will also deliver enhanced, front line technical support to end-users. Meanwhile Wayne Powell, previously head of the UK’s Commercial Audio service team, has been appointed to a new full time position at Yamaha Commercial Audio UK. Working alongside Karl and the rest of the team, Wayne will deliver pre-sales technical support, system design and an extensive range of training seminars across the UK to end users, dealers and educational establishments. "These positive changes also mean we can make much better use of Dave and Wayne’s exceptional in-house knowledge and technical skills, allowing us to deliver superior support and training to the number of end users, which continue to rise rapidly," says Karl. 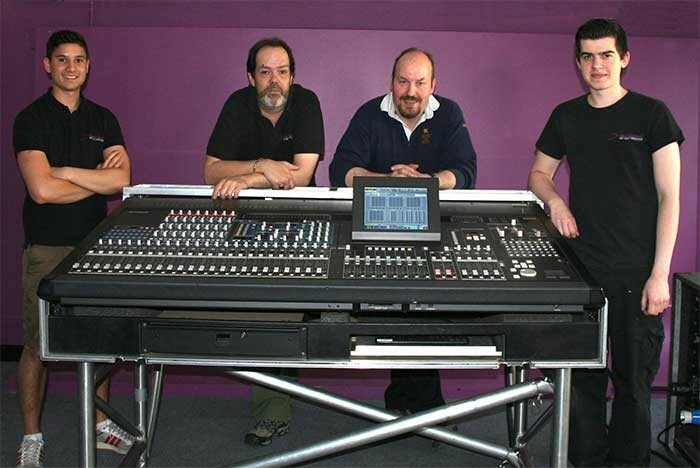 In picture: The SSE Audio YASC team - Matt Davis, (service assistant) Adrian 'Bonzo' Knight, (service manager) Steve Dando, (service engineer) and Sam Rogerson (service assistant).